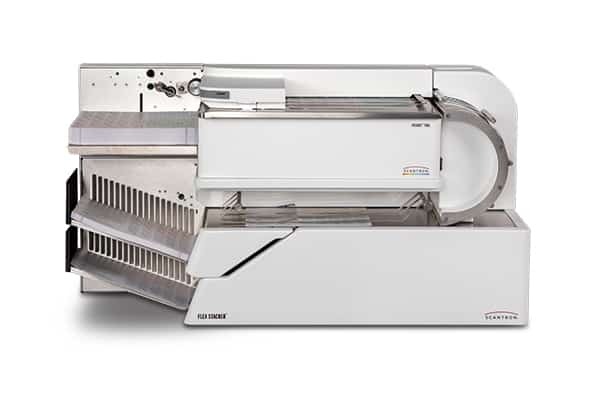 The i NSIGHT™ 700c scans color OMR forms and images at 6,600 sheets per hour, in a convenient tabletop size with flexible sorting modes supported by the Select Stacker Plus and the Flex Stacker. See the exciting iNSIGHT 700c scanner, including our Select Stacker Plus and Flex Stacker, in action! The Scantron online store is your one-stop location to order forms and scanner supplies. 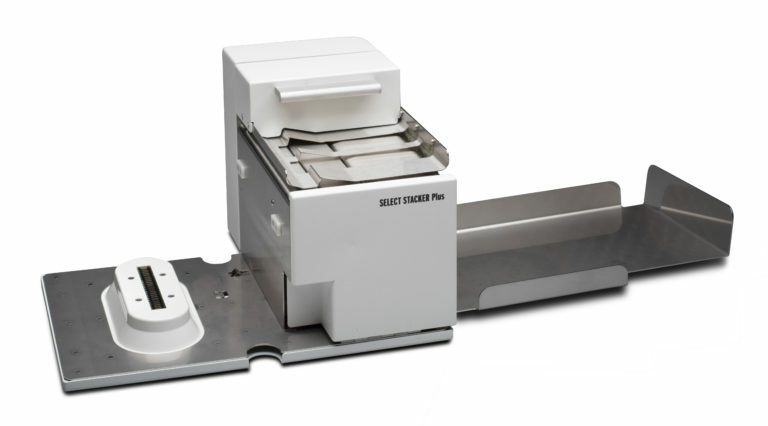 The Select Stacker Plus Accessory automatically sorts forms scanned on the iNSIGHT 700c without slowing down your scan speed. The Flex Stacker Accessory adds additional capacity and sorting capabilities. The Flex Stacker Accessory automatically sorts forms scanned on the iNSIGHT 700c without slowing down your scan speed. To take full advantage of the Flex Stacker’s ability to handle complex, multi-page forms like booklets, be sure to use ScanTools Prisma to configure flex modes. See Flex Modes for details. If you scan multi-sheet booklet forms, and need to keep the booklets together, Flex Modes are for you. Using flex modes ensure that, in addition to the specific sorting describe below for each mode, if there is an error on a sheet, the scanner will stop to allow you to pull all of the pages of the failed booklet and keep the booklet together. Normal mode is the default mode of the Flex Stacker. Scanned forms go to the primary output bin with any failed forms going to the select bin. When the input bin empties, you clear forms from the both output bins and load new forms in the input hopper. In Bin Full mode, the scanner starts by sending all sheets to the primary output bin. When the sensors register that the primary bin is almost full, the scanner sends the rest of the sheets for the current booklet to the primary bin, then automatically switches to sending all forms to the select bin. When this occurs, you can safely remove all sheets from the primary bin while still scanning, since that bin is no longer active. The scanner continues to alternate between the two bins as each becomes almost full. When the input bin empties, simply reload the input bin and continue scanning, thereby saving time by removing forms from the outputs during scanning rather than when stopped. In Batch mode, the scanner switches between output bins each time you reload the input hopper. This works well if you work in smaller batches and want to keep the forms of a batch together. In Document Count mode, the scanner switches between the output bins based on the number of documents (each document may have multiple sheets) you specify. This mode works particularly well with forms that might not work well with the bin full detection, such as folded forms. Sheet Count mode works similarly to the document count mode, but switches bins based on the number of sheets fed rather than the number of documents. Operation 2.5” x 5” to 9” x 14” (60-100 lb. Offset); uses both Mark Reflex and Trans-Optic forms. Form Input Capacity: Autofeed 500 sheets. 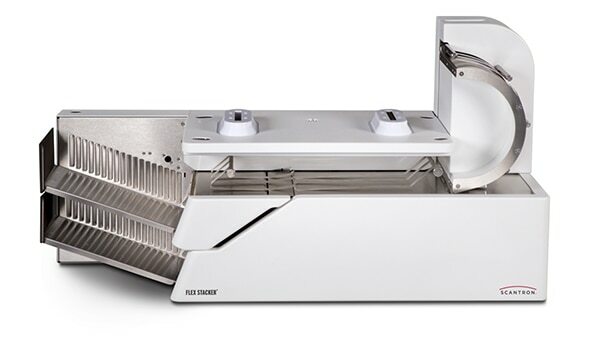 Output Stacker Capacity: 500 sheets. Controls: One push button switch. Scanning Rate: up to 6,600 sheets per hour (Actual scanning rate depends on quantity of data read from the form and the amount of processing done on that data while scanning). Software Interfaces The iNSIGHT 700c scanner is compatible with ScanTools® Prisma. This software allows you to maintain files and define scannable forms—plus scan, edit, validate and display data. For added value, the software converts files of scanned data into formats compatible with other commonly used packages, such as Microsoft® Access, Excel, Lotus® and SPSS® software. NOTE: All Windows hot fixes for the service pack must be installed. What’s the difference between pencil read and ink read? A lot of scanners claim to read both pencil and ink marks, including us. But not all scanners support both pencil and ink forms. Due to the type of light source used to recognize marks, pencil forms can be very colorful, since the read-head will only recognize the pencil marks on those forms—the color of the form doesn’t matter. Pencil forms are often more visually engaging, but you lose the ability to support ink responses. On the other hand, ink forms use what’s known as a drop out color (usually some type of red or orange). That way, the scanner can ignore anything that’s red or orange, letting it read either pencil or ink marks from the form. It matters because scanning accuracy depends on the read-head and processing software knowing what is part of the form and what is a mark. Scantron’s guaranteed scannable forms and industry-leading mark recognition software ensure that you get the same reliable results, regardless of which type of form you use.